Sundial Boutique Hotel, Whistler, B.C. The Sundial is a beautiful Whistler Hotel located in the heart of the Village. 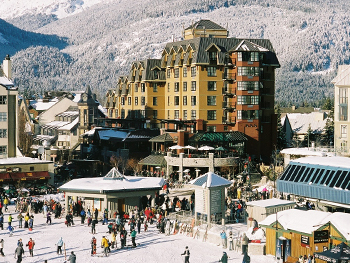 The Sundial Boutique Hotel is steps away from the Whistler Blackcomb gondolas. The Sundial Boutique Hotel in Whistler is the only owner operated boutique hotel in Whistler. Located in the heart of Whistler Village, this small owner operated hotel offers 49 exclusive and generously appointed suite. Every suite has full kitchens and mountain views. Some suites have private hot tubs. Make A Whistler Sundial Boutique Hotel Reservation Online Now!